With neutral brown hues, the Animal Patterned Honeycomb Rug gives your decor a sophisticated look and will work excellently in any room of your house. Bring a piece of the wild indoors with this unique Animal Patterned Honeycomb Rug. With neutral colors in an elegant wavily stripe pattern, it gives your decor a sophisticated look and will work excellently in any room of your house. The rug is soft to the touch and comfortable to walk on. It resists stains and will not fade and it can handle heavy traffic to stay beautiful for years to come. 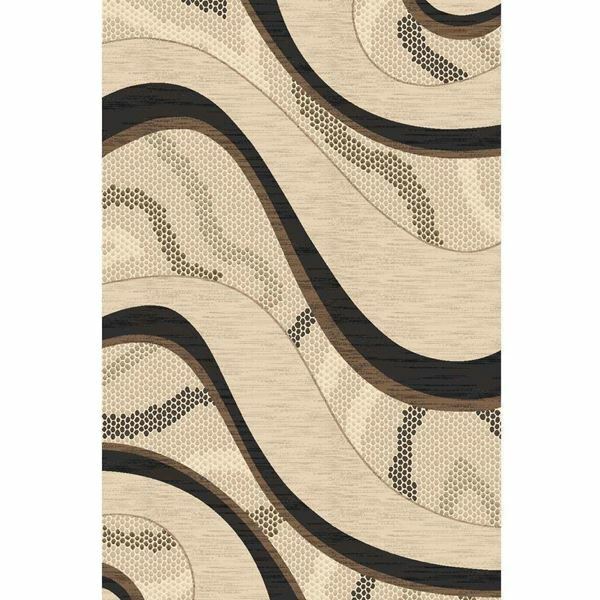 This densely woven area rug is made with medium-thick yarn. It is easy to clean.